Hidden Valley Inn & Reserve's landscape provides a unique habitat for hundreds of species of birds including raptors, passerines, psittaciformes and galliformes. 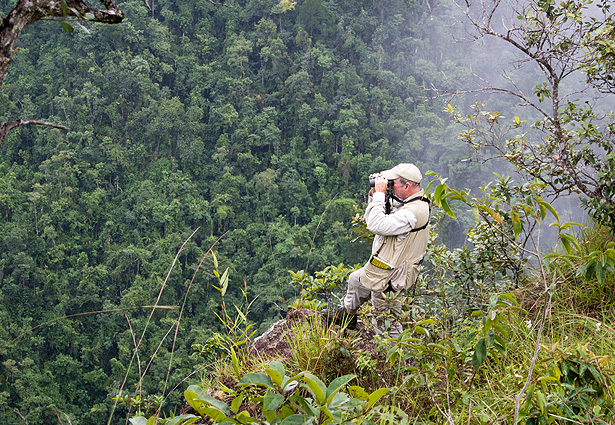 The Mountain Pine Ridge, with its Caribbean Pine Forest, deep ravines, broadleaf jungle and rainforest, is unlike any other habitat and therefore attracts birds not found elsewhere in the world. Self-guided tours throughout the Reserve include two-way radios, on property maps for hiking or birding via canoe down the rivers and creaks. However, your chances of spotting the rare beauties are greatly increased when you explore with one of Hidden Valley Inn's experienced guides. The guides at Hidden Valley Inn work closely with the Peregrine Fund and the conservationists on property. With expertise pertaining to the birds, their habitat and best times for viewing, the possibility of sighting some of these rare beauties is greatly increased. In addition, the area conservationists are sometimes on property and are always happy to share their stories, work, sightings and knowledge with guests. Whether traveling as a couple or solo, birding expeditions are always offered at Hidden Valley Inn. The best time to travel is January through March as migratory birds come through as well. Be sure to view our birding packages. Hidden Valley is happy to work with you to create a custom itinerary and package for your birding group. Please contact us for details. Throughout the year Hidden Valley Inn designs special itineraries and birding specials. Sign up for our newsletter or visit our events calendar. Click here to view our Nature Experiences.